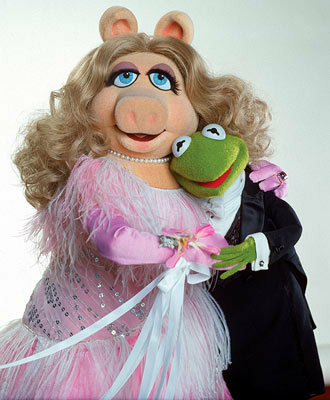 This is going to sound odd, but I think I owe really big thank you to Muppets Covergirl, Miss Piggy. Let me explain myself. Lately, I’ve been thinking about fat activists and other social justice-y types and wondering stuff. For instance, what makes someone the kind of person who can look at the status quo and see that even though it’s accepted as normal, it isn’t fair? Are activists just more sensitive – so called bleeding hearts? Or is there something about our experience and influence that affords us the compassion to identify injustice and the strength to stand up and fight for our rights and the rights of others. To be clear, this isn’t a scientific or academic inquiry I’ve been conducting; it’s one of those late night contemplations and, while I’m wondering this on the grand scale, it’s also personal. I am on a journey through my past, hedging about trying to figure out why I am compelled to act, to speak out a gainst weight bias and other injustice. I’m on quest to reclaim my history, my story from the people that hate fatness, to unearth the mythic sources that give me courage and insight, so that I can share them with others. As many of you know, I have an academic background, and in a very academic way, I believe that human beings often rely on a mythic foundation – the ideas we perceive as universal truths. And that we gather these mythic understandings from symbols we repeatedly encounter in our lifetimes. These symbols can be overt, meaning they declare themselves as life-defining, for example, the messages, images and ideas we associate with religions. Or they can be covert, clearly influencing you, but not really claiming an ideological stance, like the characters, the stories and representations we connect with in the media. I believe that these mythic symbols lay the foundations of our consciousness and help us organize, define, frame and understand our world as we know it. And so, I’ve been wondering was there something in my past – some symbol that allowed me to love my fat body, allowed me to see, and know that there was beauty, power, joy and fulfillment in my physical being despite what the world all around me was saying about being fat. 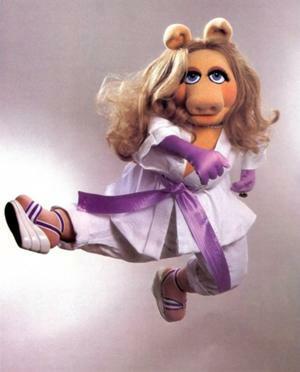 And then there she was… an image of Miss Piggy rolling through my social media feed. As a child, I was obsessed with Miss Piggy. I had a Miss Piggy puppet that I carried with me everywhere. I slept with her. I ate with her. I watched her on TV. I listened to her ideas and I loved her. I don’t know if you remember but some of the things Miss Piggy says are badass. Miss Piggy is part of my foundation. She’s a powerful, strong, successful, joyful, beloved fat woman, and I think somewhere, deep in the recesses of my subconscious, the symbol of Miss Piggy crept in and helped keep me from ever really buying into the mainstream machine that spews cruel and unjust ideas about fat people. So, really, thank you Miss Piggy. Want more Miss Piggy? Check out this Buzzfeed article. Can you think of positive symbols that might have contributed to your mythic foundations – symbols that could contribute to a future reality where weight bias no longer exists?